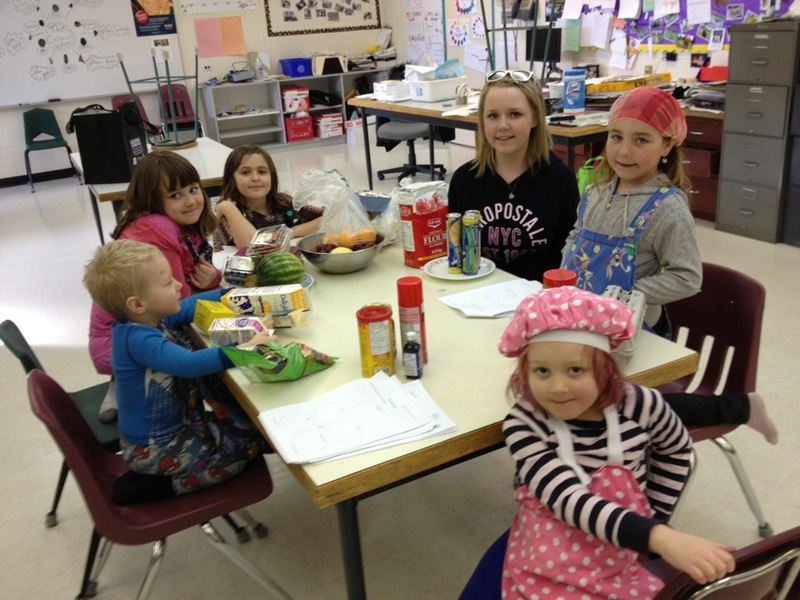 On Monday March 11th a group of Gr 2/3’s took part in a No-School Cooking Class. The class began with a food mix up on the table where the kids were asked to sort the ingredients by food group. This activity was actually a lot of fun. 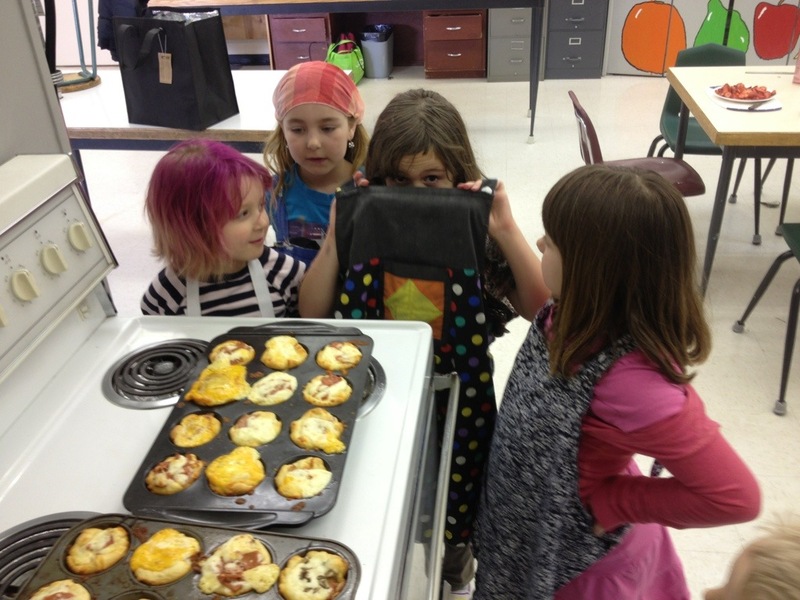 Once sorted we started into our pizza cupcakes! These were delicious and seconds and thirds were had by all!! This was an easy recipe, but I added some creative challenges for the kids. 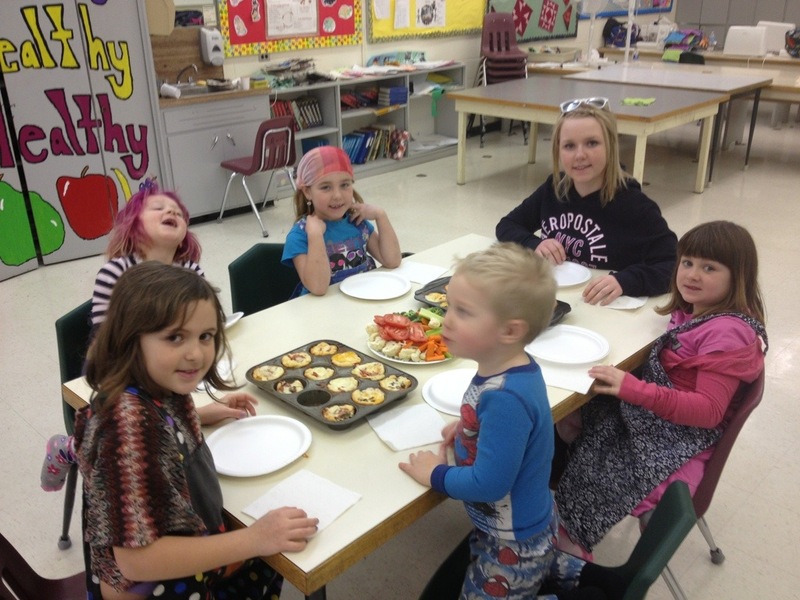 I provided different veggies, cheeses and meats (such as broccolli, mushrooms, cauliflour, carrots, celery, havarti, mozzarella, cheddar, ham, sausage and pepperoni) and the kids had to sample a bit of everything before assembling their “cupcakes”. We came up with some great flavour combinations! While the cuppies were baking we whipped up (quite literally!) some banana chocolate milkshakes… This is one of my favourite healthy recipes as it has NO added sugar thanks to the blast of frosty bananas. MMM…. check this one out. For dessert we made crepe’s with whipped cream and fresh fruit. Wow, were these delicious…. I must say we were all very full by the time our class was over. So full, I forgot to take a picture of dessert!